Above: King Edward IV's secret union with Lady Eleanor Talbot was to have a serious impact on the legality of his marriage to Elizabeth Wydeville (right). Before he married the beautiful widow Elizabeth Wydeville, King Edward IV of England is said to have secretly married Lady Eleanor Talbot who was, like Elizabeth, a widow. In his study of Eleanor, historian John Ashdown-Hill speculates that the couple wed in secret in the spring of 1461, shortly before the first Yorkist king's coronation. Rumours of Edward's secret first marriage gained momentum following his unexpected death in 1483. 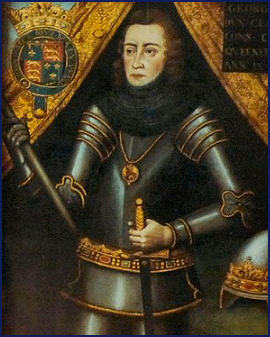 His younger brother Richard duke of Gloucester, as is well known, seized the throne that summer, claiming that Edward's bigamous marriage to Queen Elizabeth rendered their children illegitimate. By virtue of the late king's first marriage to Eleanor Talbot, his children by Elizabeth were bastards, and as such had no right to inherit the crown. The majority of modern historians have dismissed this allegation, viewing it as evidence of Gloucester's depravity as well as his remorseless desire to attain kingship at whatever the cost, but Ashdown-Hill takes these allegations seriously. He concludes that King Edward probably did clandestinely marry Eleanor some three years before he wed Elizabeth. 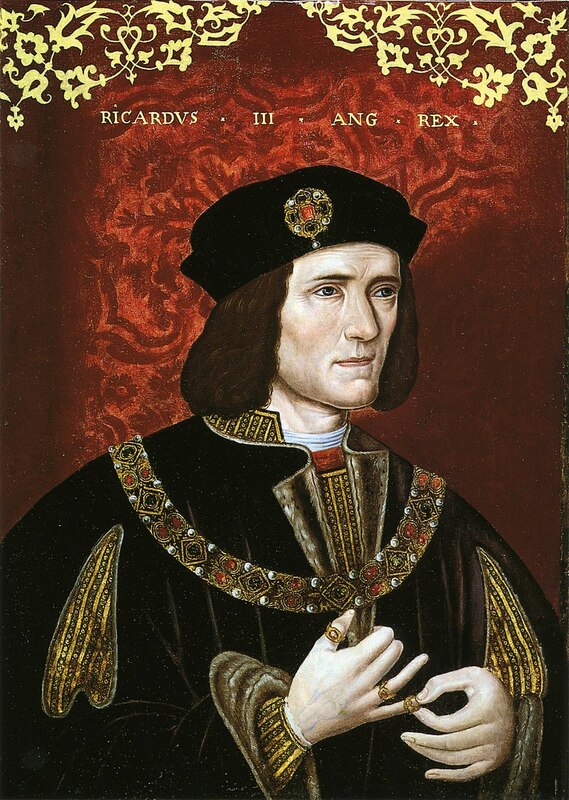 Following his unexpected accession to the throne, Richard III's first Parliament was responsible for passing an Act that declared that 'King Edward was and stood married and troth plight to one Dame Eleanor Butler, daughter of the old Earl of Shrewsbury'. The Burgundian diplomat Philippe de Commines was to report in c. 1490 that Robert Stillington, bishop of Bath and Wells, 'married them [Edward and Eleanor] when only he and they were present'. Indeed, the eminent nineteenth-century historian James Gairdner found the extant evidence so compelling that he was to conclude that the marriage between Edward and Eleanor cannot be regarded 'as a mere political invention... Perhaps rather an evidence of the truth of the story is the care afterwards taken to suppress and to pervert it'. It is also entirely possible that Queen Elizabeth herself eventually discovered that her husband had married another before her. Dominico Mancini was to report that Elizabeth was well aware of 'the calumnies with which she was reproached, namely that according to established usage she was not the legitimate wife of the king'. Above: If Edward IV truly was married to Eleanor Talbot before his marriage to Elizabeth Wydeville, then the true king of England was, by right, his younger brother George duke of Clarence (left) and, following George's execution, Richard duke of Gloucester (right). Who was Lady Eleanor Talbot, the woman who was allegedly Edward IV's secret bride? Born perhaps in 1436, Eleanor was perhaps the fourth child of John Talbot, first earl of Shrewsbury, by his second wife Lady Margaret Beauchamp, a formidable and enterprising woman who was not afraid to ensure the protection of her rights. Eleanor's childhood was probably entirely orthodox. She learnt the fundamental female skills of embroidery and housewifery, and was perhaps taught to both read and write. She was probably taught to dance, to sing and to play a musical instrument. Certainly, that she attracted Edward IV indicates that she possessed the requisite social graces and accomplishments viewed at the time as desirable. As the daughter of an earl, Eleanor's education would not have been neglected. She almost certainly learnt French, although it is less likely that she would have been taught Latin. Eleanor's relationships with her siblings is unknown, although evidence suggests that she was close to her younger sister Elizabeth, later duchess of Norfolk. We have no knowledge of Eleanor's appearance, although Commines later described her as 'a beautiful young lady'. At the age of thirteen, Eleanor married Sir Thomas Butler, son of Ralph Butler, lord Sudeley. We have virtually no evidence of their married life together. As an arranged marriage, personal feelings would have counted for very little, but that is not to say that Eleanor and Thomas did not grow to love one another. At an unknown date (certainly before 1460), Sir Thomas died, perhaps from injuries sustained at the battle of Blore Heath, as Ashdown-Hill conjectures. Eleanor herself died at the age of thirty-four on 30 June 1468. She was buried in Norwich in the monastic church of the white Carmelites, to whom she had supported during her lifetime as benefactress. Whether Eleanor Talbot truly married Edward IV in about 1461 is an issue of considerable historical importance. If she was, then she was the king's true wife and any subsequent marriage he made was invalid. His second marriage to Elizabeth Wydeville would have been bigamous and their children illegitimate. Historians, however, have largely regarded Richard's suggestion that Edward was legitimately married to Eleanor Talbot with scepticism. John A. Wagner explained that 'most modern historians believe the precontract to be a fabrication devised to give Richard III's usurpation a veneer of legitimacy. The betrothal cannot be documented beyond the account rehearsed in Titulus Regius, and Richard never attempted to have the precontract authenticated by a church court, the proper venue for such a case'. However, as we have seen, there is indeed evidence beyond the act of 1484 for Edward's marriage to Eleanor. Historian Anne Crawford believes that Edward IV did not truly marry Eleanor Talbot. She draws attention to the fact that Eleanor Talbot did not come forward when news of Edward's marriage to Elizabeth Wydeville became public. Crawford also noted that it is significant that the Talbot family failed to support Richard of Gloucester's claims about the precontract. If Edward was truly married to Eleanor before his later union with Elizabeth, then he could have applied for a papal dispensation that would have invalidated the match with Eleanor. Modern historians remain divided as to whether Eleanor was truly Edward's wife. It seems certain, however, that she was the king's lover at some point early in his reign and unknowingly provided the basis for which Richard seized the crown in the aftermath of his brother's death, leading to the eventual overthrow of the Yorkist dynasty.